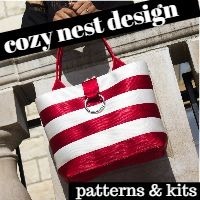 This time, I’m showing the Market Tote and Pouches from Cozy Nest Design in different colors. 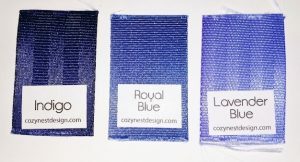 I’m using indigo, royal blue, and lavender blue. Seat belt webbing from Cozy Nest Design – Check out the swatches on the website to see the full color range. My second Market Tote. Pattern (3 sizes included) from Cozy Nest Design. My last post included my review, some helpful tips, and photos of the Market Tote Pattern from Cozy Nest Design. 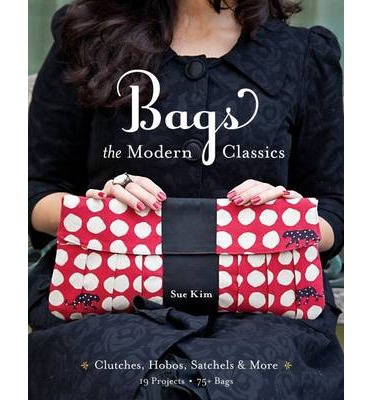 Today I’d like to share 2 additional related patterns: the Pouch Trio and the Cosmetic Bag Duo. Note: All pattern information is from Cozy Nest Design. 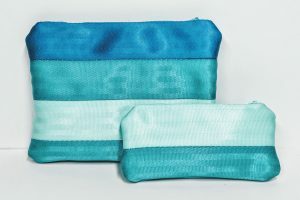 This sewing pattern will take you step-by-step to create a trio of customized pouches made from seat belt webbing. If you have never worked with seat belts before, this is a great project to get you started. Seat belts are shimmery and luxurious, yet extremely durable and easy to clean and sew. The pouches are fully lined and close with a zipper. 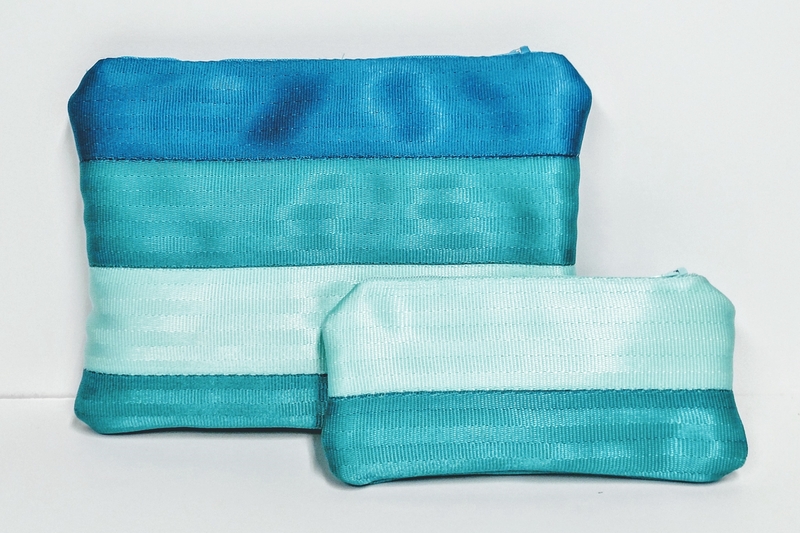 These pouches are so versatile; use them for make up, accessories, for travel or for every day. You can even dress them up by adding a clasp ring for a matching tassel or wrist strap! Zipped Pouches made from seat belt webbing. 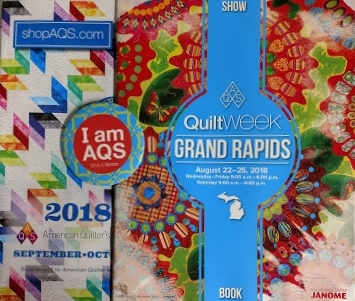 Pattern by Cozy Nest Design. Notes: All pattern information is from Cozy Nest Design. 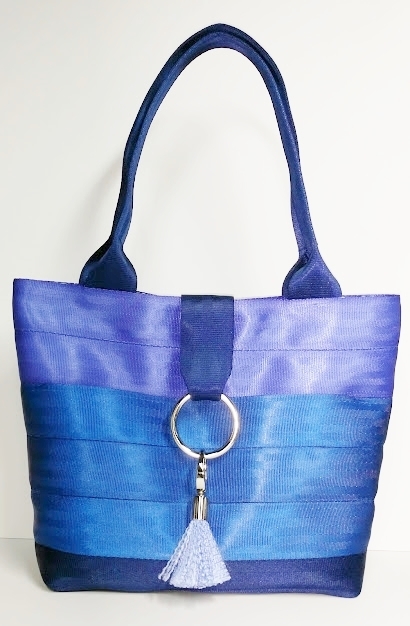 The Market Tote sewing pattern will take you step-by-step to creating a customized bag made of seat belt webbing! 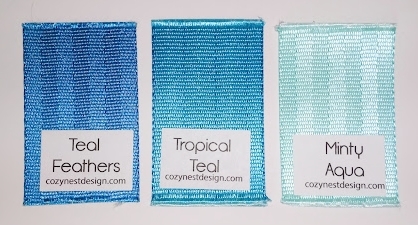 Seat belt webbing is shimmery and luxurious, yet extremely durable and easy to clean and sew! The tote features 2 exterior slip pockets and a flap accent with metal ring. On the interior you will find a zipped pocket and zipped gusset closure. The handles are 23″ long with a 11″ drop. Instructions are included for 3 different size options. * all other pieces are cut based on measurements. I chose these 3 colors arranged in blocks for my first tote. 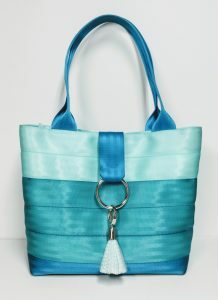 Market Tote pattern options include instructions for 1, 2, or 3 colors and solid, stripes or blocks versions.